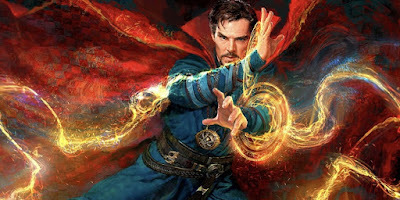 Marvel's Doctor Strange ~ I was first introduced to Doctor Strange during the Avengers/Defenders war in the early seventies as he was the leader of the latter superhero team. I knew he was Marvel's 'magic guy' and that he'd been around since the beginning of the Marvel Age and was created by Steve Ditko and Stan Lee, the same team that brought us Spider-Man originally, but little else. While my impression was usually the Sal Buscema Defenders leader, as I grew older I started to read the Ditko stuff, and it was out there, very weird with outlandish villains and bizarre mindscapes. I never dreamed anything like it could be brought to the screen, and yet the previews seem to indicate it can be done. But then again, I never imagined we'd have an Avengers movie, let alone three - Marvel is just full of miracles. I am not a Cumberbitch. I'm comfortable enough with my sexuality that I'm not afraid to say when a man is attractive, but I have never understood what women and men see in Benedict Cumberbatch. I love "Sherlock," but he's so unlikable a character there, and let's face it, his Khan was one of the worst things about Star Trek Into Darkness. 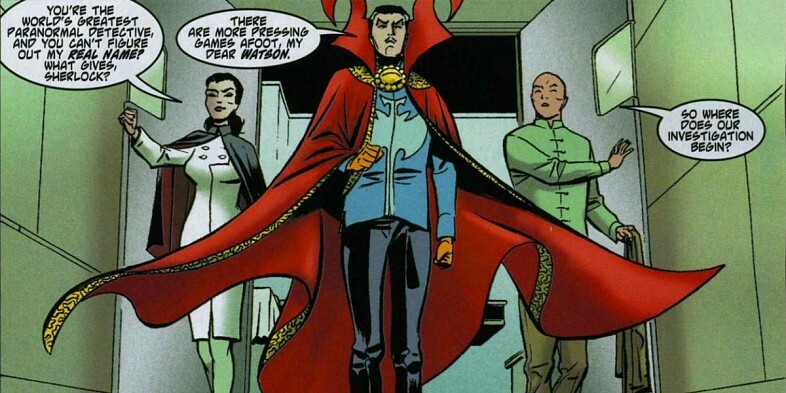 So I was not sold when I heard Cumberbatch was cast as Doctor Stephen Strange. He proved me wrong. After seeing the movie, I can't see anyone else in the role. The story is thematically the same as the hero's first appearance from 1963's Strange Tales #110, which I had first read more than four decades ago in Stan Lee's Origins of Marvel Comics. 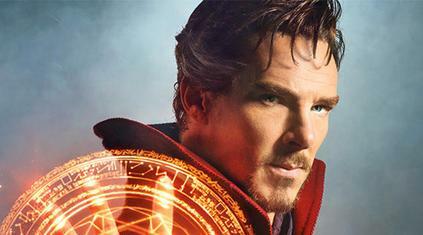 Arrogant surgeon Stephen Strange gets in a car accident that damages his hands. 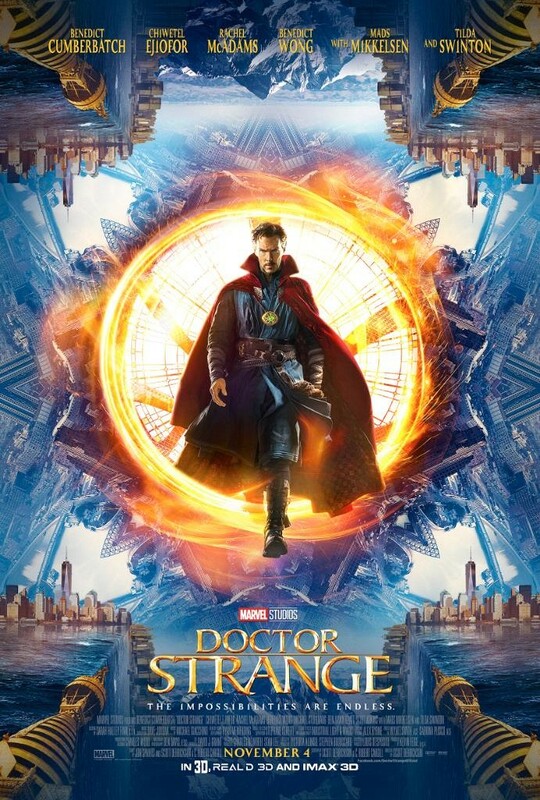 Unable to continue as a surgeon, Strange searches the world for cure, eventually coming upon the Ancient One, who gives him a new vocation with magic. Long story short, of course. 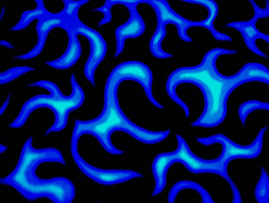 All the elements are here, the desperation, the salvation, but a few things are turned on their head. I'll start with the good and move to the ugly. We get more insight on major Doctor Strange enemy Baron Mordo, fellow student of the mystic arts under the Ancient One. I really liked Chiwetel Ejiofor here, easily one of the best performances of the movie, especially as he changes in the space of the film, beginning as an ally then by the end credit sequence, more villain than the actual villain of this piece. 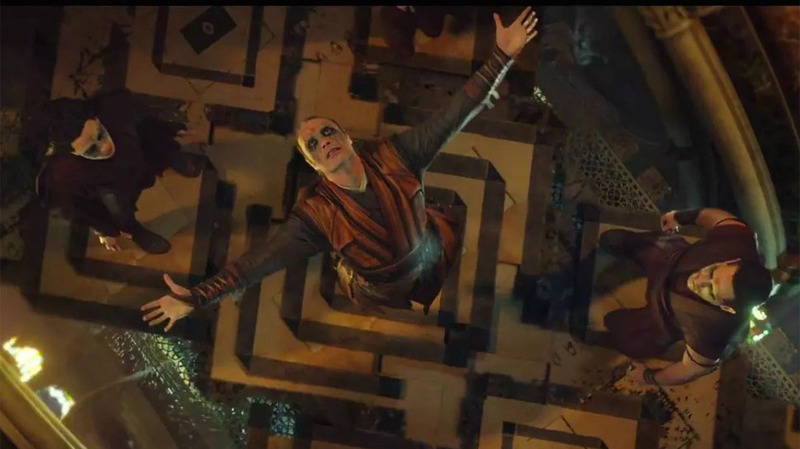 Let's talk about Mads Mikkelsen and the character he plays, Kaecillius. I realize now that Kaecillius is an old school Silver Age foe of Strange, although essentially a henchman of Mordo's, but until the movie I had no idea who he was, and had to look him up. Why was he chosen as our hero's first foe? I wouldn't normally mind such an unknown entity if the actor behind him was worthy, and he is - Mads is a major heavy with incredible talent, but they really do very little with him or Kaecillius here. It's all posturing and posing, no real depth. All we get is Mordo, and we really have to wait for the sequel to see his evil turn. And then there's the Ancient One. I have nothing against Tilda Swinton or her performance, she's amazing, and funny, and ominous, and tragic. But she's white. It's her casting I still have a problem with. With Mordo, a black man was cast into the role of a white character to wonderfully add diversity to the painfully white Marvel Age of the early sixties. But the Ancient One is actually one of the few Asian characters in that same age, and the producers chose to cast a white woman in that role. In old Hollywood, this was called whitewashing. Taking an Asian role and casting white actors to play Asian. Movies that I love, like The Mask of Fu Manchu, The Good Earth, and Mr. Wu, are stained by both this practice and the racial stereotypes depicted. Sidebar to the stereotypes, Wong, Doctor Strange's servant is treated well and as an equal if not a better to Strange in this film, gracefully and cheekily by Benedict Wong. Notably the character was also treated equally well in the often forgotten but quite good 1978 television movie/pilot of Dr. Strange. 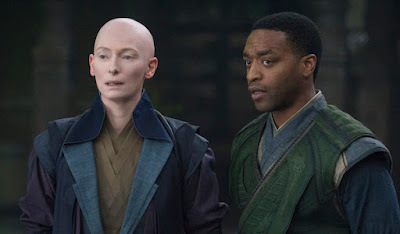 Back on point, which is worse, the color blind casting of Mordo, or the whitewashing of the Ancient One? Rachel McAdams is merely a plot device in the film, who could have been more, but doesn't live up to potential. If they were going to use Night Nurse in this film, why not use Rosario Dawson from the Netflix Marvel Television Universe? But then again, I admit my bias toward her, but why create another Night Nurse character - isn't the comics continuity confusing enough? I would have rather had Clea, perhaps we'll get her in the sequel. 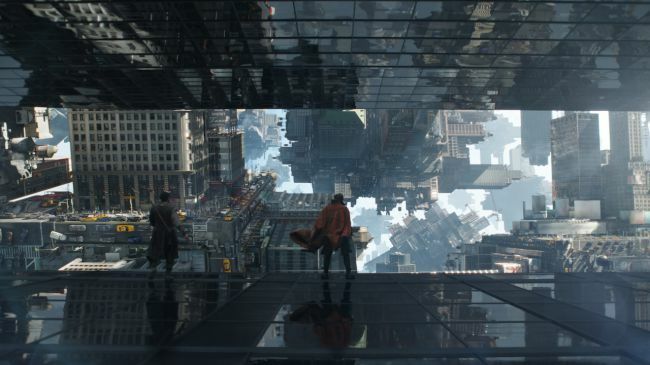 Strange's journey into the magic world is wonderfully depicted, I even dug the Inception-like special effects of turning one's surroundings into a weapon by altering its structure (up is down, shifting buildings, moving gravity, and Escher nightmares). This was one of the ways the film depicted magic, and it made the fight scenes phenomenal, something we'd never seen before. I liked that the Cloak of Levitation was like a wicked stepbrother to the Rug from Disney's Aladdin and seemed to have a fun sentience. And then there's the rings. The concept that certain items are imbued with magic and aid in the casting of spells is a solid and revered concept. Much of the Doctor Strange comics mythos comes from this - the Cloak, the Eye, etc., and then there's the Sling Ring, created for this film. 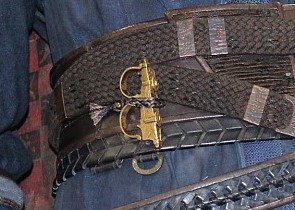 The Sling Ring helps to cast portals, and without it, a portal cannot be opened. It actually plays well in some of the fight scenes I mentioned. When Strange says, "Sling Ring, do your thing" at one point, it completely removed me from the film. Back in the bad old days of the 1970s when there really wasn't all that much comic book superheroism on television, and what there was was changed or made silly, there was a Saturday morning cartoon called "Fred and Barney Meet the Thing." Yes, that Fred and Barney. One of the program's segments featured a teenaged Ben Grim who could transform into the Thing by bringing two rings together and saying, "Thing Ring, do your thing." It took a while to recover when that happened in the film. 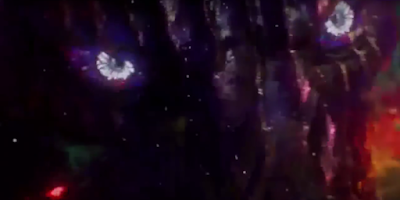 While I wished that Dormammu had a bit more fire (less Zemo, more Dormammu), I loved his representation here, and even the uncredited fact Cumberbatch did his voice. The way Strange beats him is brilliant. Casting problems and Thing Rings aside, I really did enjoy this movie. Of course stay through the credits for the two extra scenes, one a set-up for Mordo, and the other a seemingly mismatched piece directed by James Gunn that prologues Thor: Ragnarok. Highly recommended, as are most of the Marvel films.